Two women perform an improvised Shakespearean play. 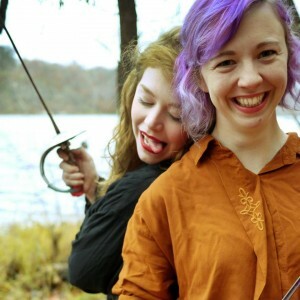 An improv duo from Minneapolis, MN, Juliet & Juliet perform (highly condensed) never-before-seen plays in the style of William Shakespeare himself. Our two Juliets are drawn together by a mutual love of theater, classic literature, and convoluted sentences.